"I enjoy working on preventive health care strategies in addition to cardiovascular disease, diabetes, geriatrics and palliative care." Dr. Atkinson's areas of special medical interest are cardiovascular disease and preventive health care. She has a particular interest in working with the elderly population. 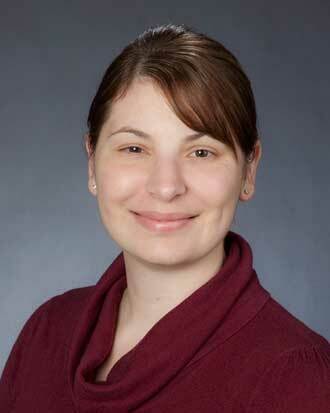 Dr. Atkinson enjoys soccer, horseback riding, motorcycling, gardening, theater and spending time with her family. Member, American Osteopathic Association Member, American College of Physicians Member, Washington State Osteopathic Association. she is the best doctor I have ever had. Dr. Atkinson is wonderful! Always attentive. concerned about any issue I have and always comes up with a solution. I refer her regularly. Always has time for me. I am very happy with Dr. Atkinson! she got to learn how to treat the patient friendly+ kindly. we decided not to see this dr any more. she should not look down a patient who speak ENGLISH with accent.Be human being first before becoming doctor. *Dr. Atkinson is incredible & addresses all concerns. Complete trust in the doctor. I always leave completely satisfied. I am grateful to have found such an amazing provider! I am willing to wait for Dr. Atkinson because she is worth the wait. She is so caring and so informative. I really love her!!!!! Thought she was behind schedule, Dr. Atkinson apologized and did not rush my appointment in any way. I felt her attention was absolutely focused on me during our time together. This doctor is an extremely good communicator. Dr. Atkinson is the best doctor I have ever had. She goes above and beyond what I would expect and genuinely cares for my well being. My experience with Robin Atkinson was so good that I recommended her to my husband, who also is very happy with her. She is personable and answers all my questions and is never in a hurry. She explains how the body is supposed to work when it is malfunctioning. Then if medication is needed, she explains well how it will remedy the problem. She goes that extra mile. Thanks, Robin! Robin´s nurses and aids are very well trained and get everything they need done quickly. Robin uses their input and adds to it on the computer during our visit. They all work well together and are friendly with everyone. I would recommend Robin Atkinson to everyone! *Dr. Atkinson is my caring and take time to address any concerns. *Dr. Atkinson is always very through and extremely attentive. Love her! Dr. Atkinson is always involves me in the decision making process of my health care and gives great ideas of strategies to improve health. I am very pleased with Dr. Atkinson. I could easily say she is the best care provider i have ever had. She is very professional, caring, articulate and helpful. I like Dr. Atkinson. She partners with me, rather than administer TO me. Quickly and efficiently, she gives me options while providing the data to support our decision making. This is exactly what I appreciate in a physician. Also, she´s friendly and approachable. I´ve been very pleased with the service provided by the staff, physician´s assistant and doctors. Dr. Atkinson is really good! I transferred care due to a move from my PCP that I had had for over 12 years and never thought I would find someone as good as my previous PCP. Dr. Atkinson proved me wrong. I have already recommended that my partner see her. I cannot say enough kind things about Dr Atkinson. She has that special ability to make me feel as if I am the most important patient she has. She has a depth of knowledge that is greater than most PCPs, in my experience. She shows great motivation in making sure I get the best care possible, and to that goal, she works well with my other physicians, in VM and other systems. I cannot say enough good things about Dr. Atkinson. She´s a true gift. Dr. Atkinson is a good listener, very friendly, helpful and sets the patience at ease. Very comfortable dealing with her and am impressed by her knowledge of conditions I expressed to her. a very caring doctor that i would recommend to anyone. Dr. Atkinson is a wonderful doctor! I really enjoy her. Dr. Robin Atkinson has been my care provider for several years, and I could not ask for a more caring, result oriented, energetic and kind doctor! Have been seeing Dr. Atkinson for over a year and have recommended her several times to others. I can honestly say i feel her to be the best provider i have had in my adult life. I absolutely love Dr. A. but she is almost always 10-20 mins. behind and the visits often feel rushed. I will need to make additional appts. to address all of my concerns. Dr Atkinson is very easy for me to open up and discuss my problems. she is sharp and knows me. Dr.Atkinson is a true knowledable and caring Physician. I feel blessed to have her as my doctor. I had some concerns that I really worried about. Dr. Atkinson really explained things to me and put my mind at ease. I ALWAYS leave her feeling so much better and encouraged! Absolutely love her! Dr. Atkinson is always very pleasant and very through. She is very fast and so sometimes I need to prepare myself for that but she is wonderful - I would not even change change. She was very busy (almost rushed) but she asked me repeatedly if I had any questions, or problems or if I had anything I wanted to discuss. As a patient I appreciate that Dr. Atkinson doesn´t rush her time with me...she takes time to listen to me and make sure I understand what she tells me before moving on. Dr. Atkinson is excellent doctor. My relationship with this Dr. has improved a lot over the past year. I feel like she is more in touch with my needs and is more knowledgable about my condition than she was a year ago. The problems I went for my annual physical and what I received was _____ once over. Dr. Robin Atkinson is very attentive, accurate, personable and treats your appointment with priority. she does well in Listening to ones concerns,,excellent with using MY Virginia Portal,Always feel as my visit went well and I now have what is needed to feel better.Excellent advise and care. Dr. Atkinson is amazing!! So was the radiologist for my mammogram. I have referred several people to Dr. Atkinson. She´s amazing!! Robyn Atkison listens carefully, sorts through possibilities, then systematically plans out a course of care with me. Reviews test results with me as soon as they are available. I appreciate the time she spends, her systematic care and caring. Thank you Robyn. Dr. Atkinson is very good about engaging me in the decision making process. This was not my lifetime experience with doctors and at first I was uncertain, having been accustomed to doctors just telling me what they were going to do. now I truly appreciate her partnership with me in h=my health journey, and wonder why I let other doctors adopt that "I know best" attitude. I appreciate their medical training and expect, and receive their input, but it is now comfortable for me to participate in the decision making process. I attribute this to Dr. Atkinson´s care. Dr. Atkinson is extremely professional yet she comes across as a very caring person. She is the best primary care physician I have had ever. I would recommend her to anyone. Dr. Atkinson is an exemplary primary care doctor. She is always respectful, responsive, knowledgeable, and compassionate. Dr. Atkinson is always awesome and knowledgeable about the latest things regarding my condition. She also remembers me well even when it´s a long time between visits. I feel very confident about her ability to help me stay as healthy as I can. Dr. Atkinson is my absolute favorite doctor. She is thorough, efficient, and takes the time she needs with each patient. She is personable and really gets to know her patients (on a professional level yet it feels personal). I recommend her to all my friends. Very encouraging re: improved health & next goals. Dr. Atkinson is the BEST! Dr. Atkinson is an incredible Dr. Amazing listener, caring, knowledgeable, and takes the time to really listen and address my issues. Literally she is saving me through some rough times. I couldn´t make it without her. Appreciated more than I can put to words. Excellent discussion and sound advice from Dr. Atkinson, as usual. Doctor Atkinson is caring and knowledgeable.I highly recommend her to anyone! I am fortunate to have the very best PCP I´ve ever experienced! I cannot recommend Dr Atkinson enough - she is the best doctor I´ve had in a very long time. She really takes the time to listen to me and works with me to consider all the options. She´s super supportive of me and my decisions and I trust that she has my best interests in consideration. The Dr was too rushed this day however apologized for the wait, but also rushed out when appointment was over. Appointment itself was good but you could tell she was just too, too busy. She neglected to tell me that I needed to have a urine sample and used the restroom before my labs and couldn´t provide one. But she is an excellent Dr. I have every confidence in her and wouldn´t want to have my care with anyone else. Dr. Atkinson is an excellent physician. She always takes the time to listen and truly cares. Dr Atkinson was very thorough and gave me time to ask questions and explain my health concerns. way too busy and talked way too fast!!!! Dr Atkinson is a great doctor. Dr. Atkinson is amazing - thorough, efficient yet calm, unrushed and very caring and compassionate. She really listens, which I don´t think a lot of doctors do very well these days. She has a wholistic approach which I really appreciate. She´s a gem!! I am very blessed to have Dr. Atkinson and Kimberly Lee - Cooper as my care providers. I would not like the idea of ever having to change my care providers. Dr. Atkinson gives her BEST professional care to her patients. She treats patients like family no matter how busy. She patiently listening to her patients to help solve all the problem. We truly appreciate Dr. Atkinson´s wonderful care! Dr. Atkinson is amazing: very knowledgeable, friendly and compassionate. Without a doubt the best doc I´ve ever worked with. Robin is a very attentive Doctor and always spends the time needed without making me feel rushed or that I am overburdening her. Appreciate her insights to my condition (AAA Dissection patient) and healing process. The staff that works with her all have the same level of professionalism and care which is very refreshing. Always a pleasure to work with even under stressful conditions! She is a very kind & knowledgeable, physician! I have a lot of confidence in her! Dr. Robin Atkinson is terrific. She is an excellent doctor and is an excellent listener. You never feel she is rushed and she connects with you on a personal level. She exhibits real concern for your health and well being. Excellent - she spent a lot of time going over my issues and concerns. I love Dr Atkinson. She always takes my concerns seriously and addresses immediately. I´m not just another patient, but cares about listening to what I have to say. And always provides assurance to me. I actually recommend Dr. Atkinson to my friends and family. Dr Adkinson is not my regular doctor, but was able to see me for what seemed a possible medical emergency. She was very clear, got me in for an ultrasound the same day, called me with results and how to follow up. In addition, I was able to discuss another concern with me and she gave me excellent info on that too. Very happy with her help. I like Dr Adkinson, She´s very good with difficult prople like my 85 yr old mom. doctor robin is THE BEST care provider I have ever encountered. She is kind and considerate and always takes plenty of time to explain and listen to concerns. Dr. Atkinson is thorough, astute, personable and compassionate in her care. she is very good about following up with Mr and is patient with my strugglevto communicate effectively in verbal conversations when I´m under anxiety, etc. Doctor Robin Atkinson has been my provider for several years. She is concerned, she makes suggestions, listens and tries to answer all the questions within the time she can spend with me. And her assistants are always professional and kind. She is excellent, out of my many years I have experienced physicians she is one of the best ones I´ve come across. My mom is very fortunate to have her! Every aspect of each appointment I´ve had at this clinic has been great! I hate going to the dr., and the employees at this clinic make it manageable for me. I absolutely love that Dr. Robin Atkinson is my care provider! She has always shown great care with me, and continues to do so every step of the way. Dr. Atkinson is a skilled physician and an excellent communicator. Doctor Atkinson is one of your best. Also, one of the best GPs in greater Seattle. She is simply outstanding. My confidence is the best for Dr. Robin Atkinson. One of the best I´ve ever had. Very impressed with Dr. Atkinson. She was very pleasant, listened carefully , patiently explained test results and made me feel that I was in "good hands".